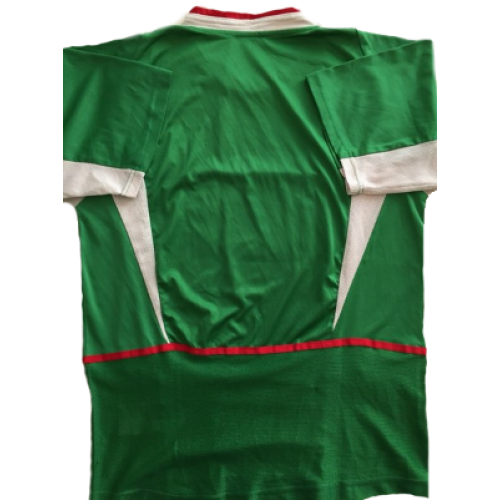 This Mexico retro shirt home 2003 was used of players like: Pavel Pardo, Duilio Davino, Cuauthemoc Blanco and others. 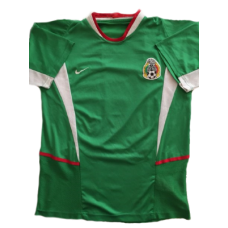 In the finals of the tournament met Mexico against Brazil. 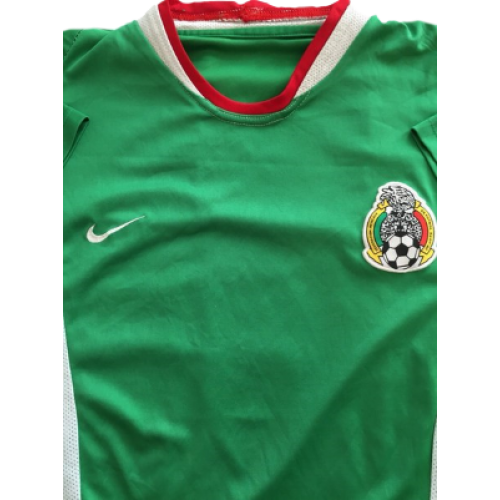 In the main time of the match neither team was not able to hit the opponent's gate. 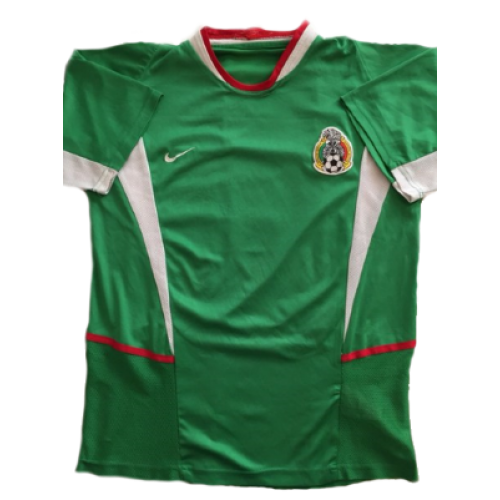 And only in 97 minutes into the Mexican Daniel Osorno scored, as it turned out, the winning goal in the gate five-time champion of the world, thus bringing the 7 th victory Mexico in the Gold Cup.